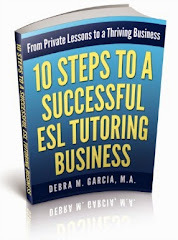 As most of you may know, the ESL blog you are reading here is hosted on "Blogger." Blogger is a free service that belongs to Google. It's a really great way for anyone to have their own blog, whether it's about teaching English as a Second Language or anything else in the world. The one very unfortunate thing for many people, especially teachers or others who work with children, any many others of us, is that the Navbar (the line across the top of the page that says "Search blog," "Flag blog," and "Next blog") is required by Blogger. It used to be optional when I started this ESL blog. It used to be a great little resource or interesting for internet surfers because it would randomly pull up another Blogger blog that had been recently updated. You might find someone's blog in another language, certainly about other topics besides ESL of EFL. It was like a little mini-travel portal (a wormhole?) that would take you to another part of the world. Unfortunately, now the "adult content" people have discovered Blogger and are essentially "spamming" the rest of us. They are creating tons of blogs with adult content, from which they can make money. And they are adding and updating them regularly. So now I have noticed that if I hit the "Next blog" button, more than half the time I'm taken to an offensive "adult content" blog. Google and Blogger don't seem to care about this. They don't give us regular bloggers a way to block this offensive content. 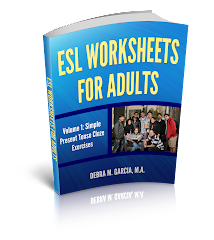 I have considered using only my regular website (Teaching ESL to Adults), over which I control of the content, and abandoning this blog. However, I have put a lot of effort into this blog and I am hoping that Google and Blogger will eventually reconsider their policy of not allowing certain types of blogs to be blocked. In the meantime, please be careful of using the "Next blog" button and I apologize if you come upon offensive content. Blogger does not make it very easy to complain to them.